Greiner Engineering Tools Sum.mation seems like a great choice for a summing unit because of its ability to be fully automated from within your DAW. It can also be used to automate an analog console by placing it on the channel inserts. 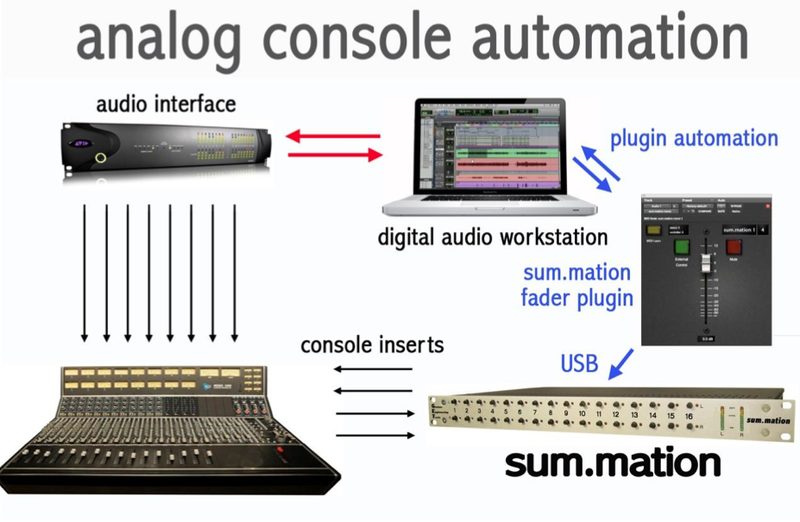 "In our continued effort to bring the classic "big studio" experience to the smaller project studio environment, we have designed sum.mation to take full advantage of the incredible control that DAW's have to offer, and combined that with superior analog automation circuitry, for a classic analog mixing experience at a fraction of the cost traditionally associated with this technology." Avoids inter-sample latency problems when mixing "in the box"